For this Covert Commissions review we will go more in depth into the Covert Commissions program and see if it really can make you money online. So without further ado, let’s jump right into my honest covert commissions review. Covert Commissions is a relatively new affiliate marketing system that is being promoted on Clickbank and JVZoo. The creators of this program swear that you can make as much as $1,000 per week just by using the program. Inside users will discover various tools and resources needed to run your own successful online business, how to build your own email lists and how to start making sales. Some of the tools included in this product include autoresponder, sales pages and follow up sales pitches. The moment you gain access to your dashboard within the Covert Commissions system, you will then need to go through 15 different missions before you can earn a commission for each. The whole point of each “mission” is to assemble a fully automated sales funnel for specific products. The moment you make a sales, you will earn up to 50% commissions for the products. In order to access all of your missions, you will need to unlock them via credits. You can earn credits naturally by utilizing the system or by paying the upgrade price as a short cut. 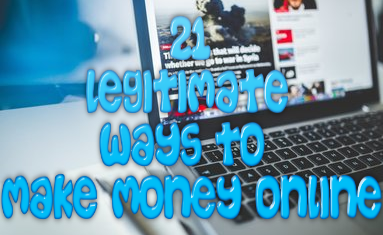 All in all Covert Commissions is not a bad system as all of these tools are ones that you will need to utilize to run any successful online business. Everything looks profession and every tool is specifically designed to take care of the hard work for you. The only thing left for you to do is drive high quality and targeted traffic to your system and you can begin earning money online. There are many problems with the Covert Commissions system and I am not the only one to have picked up upon these issues. Many actual users of this program have come up with the same conclusion over the system itself and here are just a few of them. If you are new to online marketing then it is important for you to understand that using duplicate content online is a big no no. There are various repercussions to using duplicate such as being banned from Google itself or losing out on hundre of dollars a month. In the case of Covert Commissions, all of the tools you are being given are considered to be duplicate content. For example, the sales pages and web pages you are given are all the same for every other member of the sites. It means that getting traffic through the use of content creation or usual search engine results is zero to none and you won’t even be able to have them indexed by the search engines at all. Without the ability to index your site and inability to have it rank for simple search engine keywords, you are going to have your work cut out for you to draw the traffic you need to be successful to your online site. This will not only be an expensive endeavor for you, but you are going to have to compete with nearly every other person who has access to a Covert Commissions membership as well. When you sign up for a Covert Commissions membership you are going to have to give up 50% of your commissions to the team behind this program. That’s the price to pay when you use these types of products. You can work your tail off to drive traffic to your funnel, but since the team behind Covert Commissions built your sales funnel for you, they want their half of the cut. 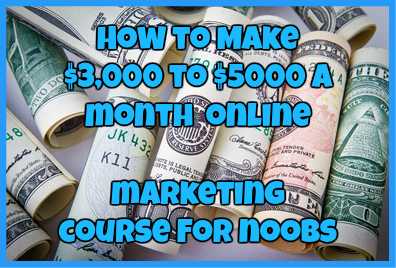 If you learned how to make your own sales funnel and used your own tools to make sales online, you could earn 100% commissions, which is better than this program. When you go through the dashboard of Covert Commissions and look into the training that is offered, you will see some of the training is offered that is geared to helping you drive quality traffic to your site. One of the training methods that they recommend is article marketing by using a site called Squidoo. However, in 2013 Google stopped ranking article directories high enough to pose any real difference for your sites and thus article marketing is no longer as effective as it used to be. In today’s world, content is the real traffic generator and unfortunately this is something that Covert Commissions does not teach you. From the intro video to the sales page, Covert Commissions is a program that seems to scream out scam at first glance. However, after going through the system myself it is not a scam and could be a very well put together marketing system, if it didn’t take 50% commissions from users or recommend selling low quality products. With that said, this is not a program that I can confidently recommend to those who are looking to make a living online. The best thing that you can do is find a program that can teach you how to sell products online using all of the tactics taught by Covert Commissions without taking half of your hard earned commissions in the process. Have you used Covert Commissions? If so, what did you think of it? Let me know in the comments section below! Jobrize.com Review: Another Pyramid Scam?